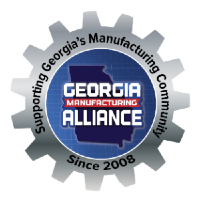 Annie Jorgensen provides her unique perspective on Georgia's Manufacturing Community. Annie Jorgensen (Miss Georgia) interviews Bob Donohue with Zwick Roell. They talk about manufacturing in Georgia! Annie Jorgensen (Miss Georgia) interviews Michael Brooks from Oneda at the 2018 Fabtech show in Atlanta Georgia.